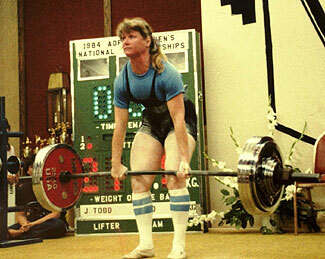 At the 1984 Women’s National Powerlifting Championships, Jan Todd set a world record in the deadlift of 463.5 pounds at a body weight of 163 pounds. She set world records in five different weight classes during her career. A Special Thank You to Jon Grove for this addition to PrettySTRONG. Grip ’em & Rip ’em!